Post-stroke/surgery: Have you or a loved one experienced a stroke or surgery affecting speech, expressive language or comprehension in the last two years? And although discharged from hospital this remains a problem? Do your family members struggle to know how to help you? We can help to devise a speech pathology program that can assist with all these aspects of communication difficulties. Voice problems: Do you have difficulty with your voice? Do you experience hoarseness, breathiness or frequent sore throats? Do you use your voice professionally as a teacher, singer or gym coach? Do you often raise your voice with your children or partner? Do you find yourself needing to clear your throat or cough frequently? 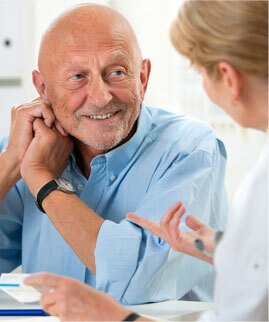 Our staff can assist with strategies to help reduce the factors affecting your voice. Stuttering: Is stuttering an issue for you? Do you find it difficult to converse with others without embarrassment? Do you shy away from speaking in a group or talking on the phone? Do you refuse social invitations because you fear you might feel humiliated? Our clinicians can assist with programs to help you gain control over your stutter. The Speech Pathologists at Stirling Speech Pathology can assist with all these problems. Give us a call at Morley 08 9275 7118, Armadale 08 9399 8547 or Ellenbrook 08 6296 2726 or click here to request a call back or to make an inquiry.